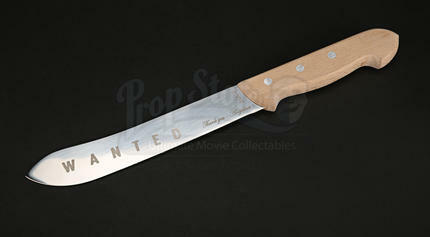 A mini Panga Machete, a thank you from Angelina Jolie to the crew of Timur Bekmambetov’s 2008 thriller Wanted. Wesley Gibson (James McAvoy) is an office worker whose life is going nowhere. After his estranged father is murdered, he meets Fox (Angelina Jolie), who recruits him into the Fraternity, a secret society of assassins which takes its orders from Fate itself. Fox and Sloan (Morgan Freeman), the Fraternity's leader, teach Wesley to tap into dormant powers. 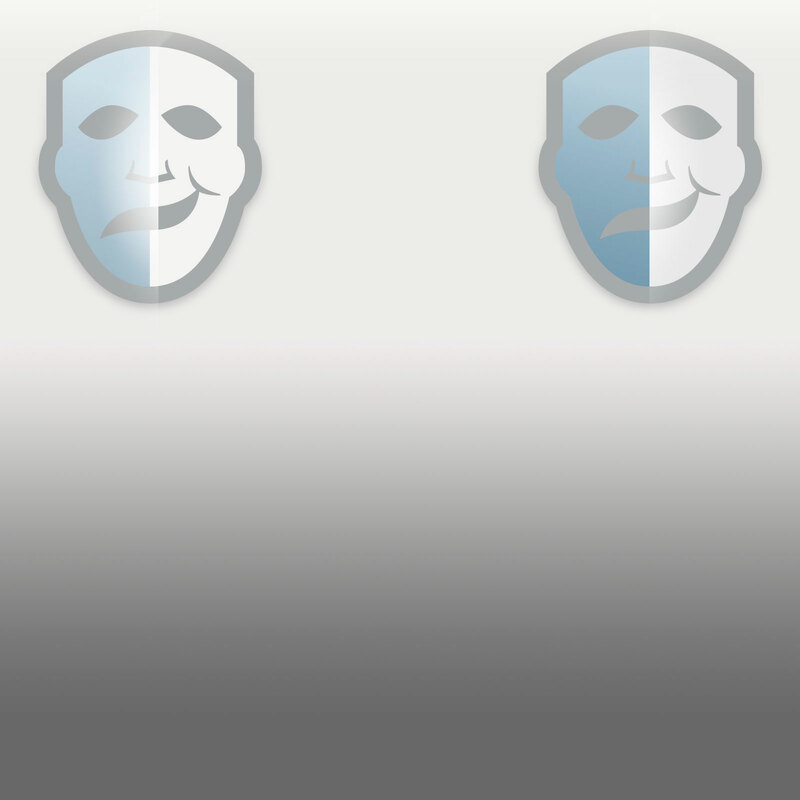 Though he enjoys his newfound abilities, he begins to suspect that there is more to the Fraternity than meets the eye. 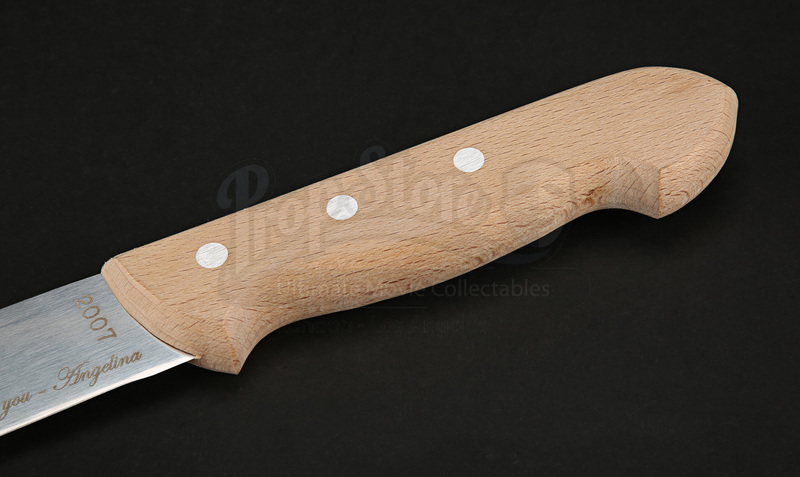 This piece is a small machete knife with a wooden handle. Laser-cut on the knife shaft is the word WANTED, the date 2007 and the message ‘thank you from Angelina’. The original card box it comes in has suffered some creasing and denting from handling and storage, although inside the knife itself is in excellent condition, protected by the box. Materials: Ferrous Metals, Wood, Card, Plastic.